An angry MS Dhoni entered the ground and was seen arguing with Ulhas Gandhe before leg umpire Bruce Oxenford calmed him and sent him back. CSK recorded their sixth win in seven games as they chased down a modest 152 run target against Rajasthan Royals in a dramatic final over. Skipper MS Dhoni scored 58 off 43 while Ambati Rayudu (57 off 47 balls) for the fifth wicket. However, after Stokes got Dhoni with a yorker, the next delivery, a clear waist-high no-ball to Santner was ruled out by umpire Ulhas Gandhe after trying to raise his arm. 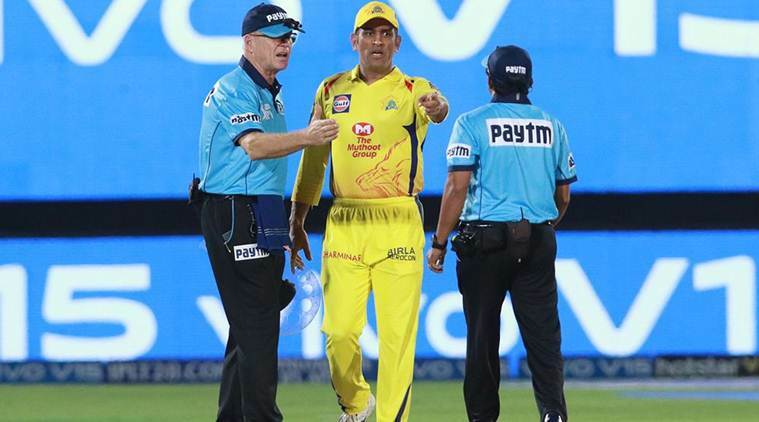 This prompted an angry Dhoni to enter the ground and argue animatedly with Gandhe, before leg umpire Bruce Oxenford calmed him and sent him back. Then Santner finished it off in style. MS Dhoni was later docked 50 per cent of his match fees for the offence. 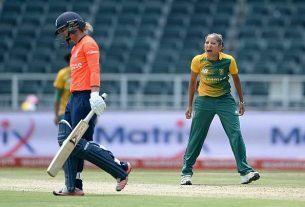 The dramatic incident began when umpire Gandhe signalled a no-ball off a full toss. It was not Gandhe’s call to make (being a no-ball for height) and it was overruled by square leg umpire Bruce Oxenford. However, Dhoni, had spotted the umpire raising his arm and stormed on to the ground in protest with the match hanging in the balance. Quite a few of the Rajasthan players got involved in the heated argument, but ultimately Oxenford diffused the situation.